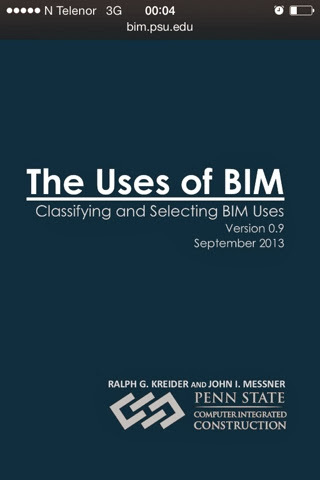 This document presents a system for the classification of the Uses of BIM. This classification system provides a common language for the Uses of Building Information Modeling (or BIM Uses) that can be leveraged to communicate the precise purpose and context of implementing BIM on a capital facility project. ABIMUseisdefinedasamethodofapplyingBuildingInformationModelingduringafacility’s lifecycle to achieve one or more specific objectives. The classification system can be implemented as an alternative approach to the first step of the procedure defined in Chapter 2 of the BIM Project Execution Planning Guide. Rather than classifying the BIM Uses by facility phase (as was done in the BIM Project Execution Planning Guide), this system classifies BIM Uses based on the purpose of implementing BIM. It is critical to understand that BIM does not change the purpose – only the means by which the purpose is achieved. BIM Uses are categorized into five primary purposes: 1) Gathering, 2) Generating, 3) Analyzing, 4) Communicating, and 5) Realizing. 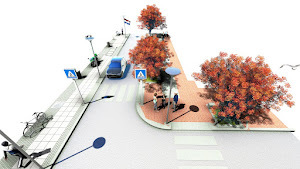 These purposes can be decomposed further into 18 sub-purposes for implementing BIM. Using the purpose definitions, one can accurately communicate ‘why’ they are implementing BIM. After the purpose is determined, the BIM Use is more precisely identified by elaborating on detailed BIM Uses Characteristics such as facility element, facility phase, author discipline, or level of development. 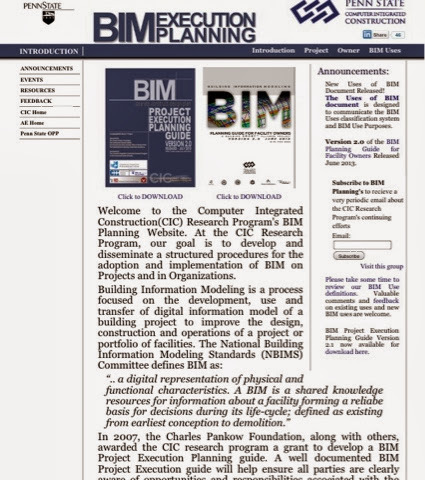 This BIM Use classification systems and procedure provide the fundamental terminology and structure for communicating the purposes for which BIM is implemented. It can be used within procurement language and BIM planning to define the precise requirements of various parties. It can also be used to standardize terminology related to process and information exchanges. Overall, the classification of BIM Uses allows for better communication of the purposes and methods for implementing BIM throughout the lifecycle of a facility. Starten på denne bloggen i 2008.